A selection of the best news photos from the past week. 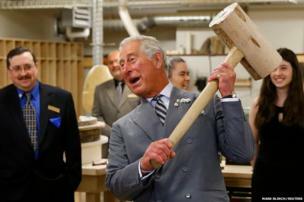 Britain's Prince Charles hefts a wooden mallet at a carpentry exhibition in Charlottetown during a four-day visit to Canada. A former Polish war refugee who met Prince Charles claimed he had likened Vladimir Putin's actions to those of the Nazis. 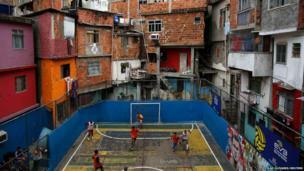 Ahead of the World Cup which begins in Brazil in June people are seen playing football in a slum area of Rio de Janeiro. 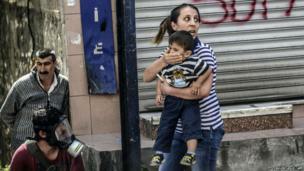 A woman holds her child as she tries to make her way through a street during clashes between Turkish riot police and protesters angry at last week's mining disaster which killed 301 people in Soma. On Friday it was reported that two people had died of their injuries in the clashes. 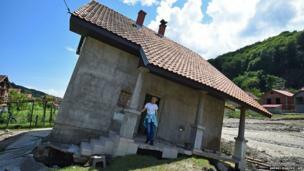 Officials say that three months' worth of rain has fallen on the Balkan region in recent days, producing the worst floods since rainfall measurements began 120 years ago. At least 40 people have died with thousands more displaced. Cambridge United returned to the Football League for the first time in nine years by beating Gateshead in the Conference Premier final at Wembley. Ashley Wilson (left) and Lindsay Vandermay celebrate after getting their marriage licence at the Philadelphia Marriage Bureau after Pennsylvania's ban on gay marriage was overturned by a federal judge on Tuesday. 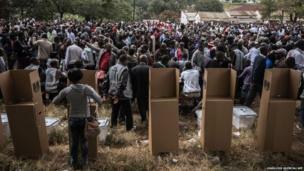 Malawians start voting after polling was delayed by several hours at a voting station in Blantyre central district during general elections on Tuesday. French dancer Brahim Zaibat flips on the red carpet as he arrives for the screening of the film Foxcatcher at the Cannes Film Festival in France. 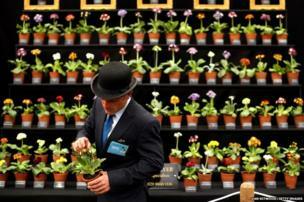 An exhibitor checks Auricula plants on display in the Great Pavilion at the 2014 Chelsea Flower Show at Royal Hospital Chelsea in London. 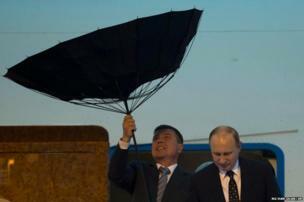 Russia's President Vladimir Putin arrives in Shanghai for the Conference on Interaction and Confidence Building Measures in Asia, as a member of his security team struggles with an umbrella. 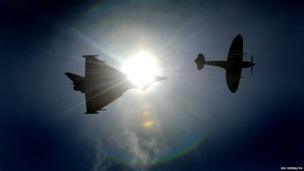 A Eurofighter Typhoon (left), featuring D-Day invasion stripes, is accompanied by a Spitfire on a low-level flypast over RAF Coningsby ahead of the 70th anniversary of the landings. 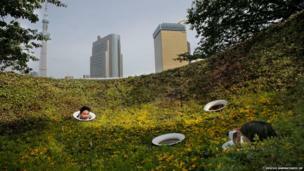 A couple stick their heads out of holes while taking a photograph at a public park in Tokyo, Japan.